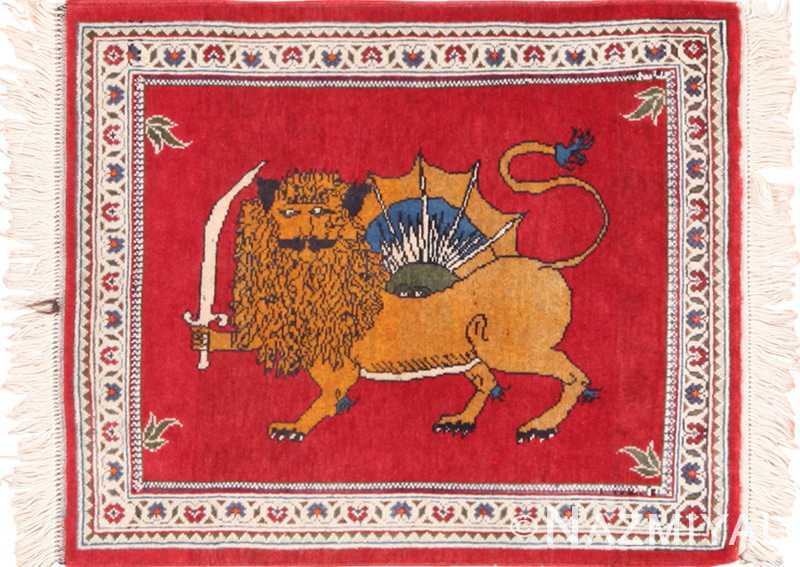 Beautiful Fun and Whimsical Small Scatter Size Lion and Sun Design Vintage Persian Tabriz Rug 49625, Country of Origin / Rug Type: Vintage Persian Rug, Circa Date: Mid – 20th Century – This luminous vintage Persian rug features the iconic Iranian lion with sword and sun symbol. 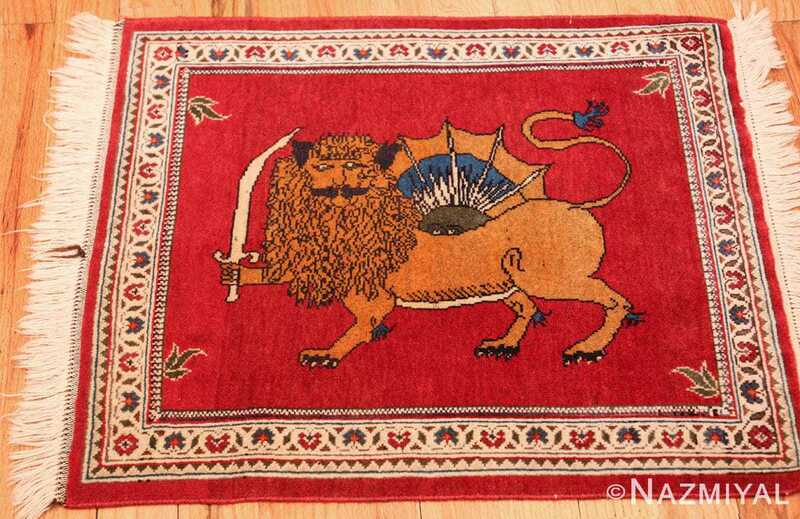 This lion and sun design vintage Persian Tabriz rug boasts such a beautiful and whimsical rendition of this archetypal design. 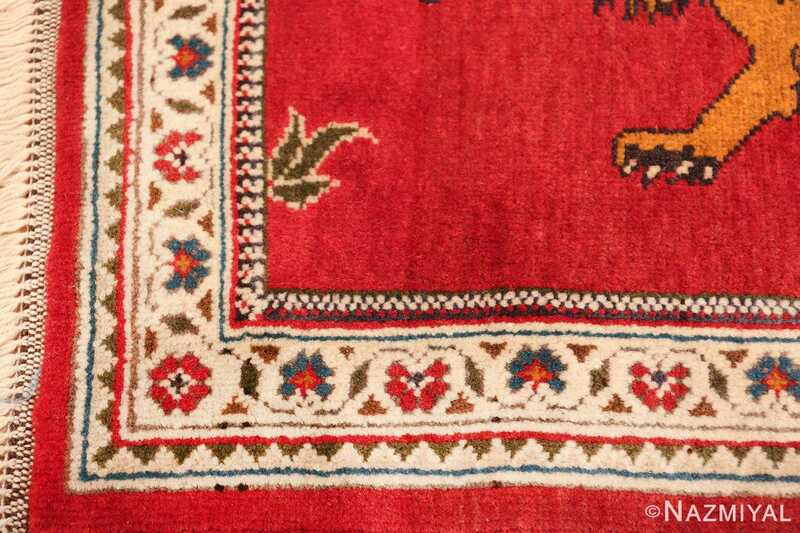 A rich crimson red hue saturates the majority of the field of this artful small scatter size rug. 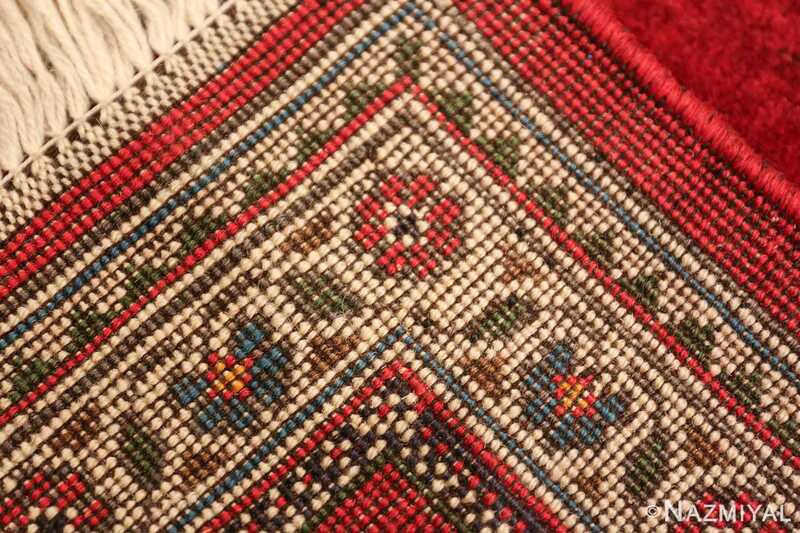 The white floral border encircles the Oriental rug and the thin red outermost band completes the frame in such a perfectly balanced way. The four natural leaf shoots embellish the four corners of the inner field design and help to create a more natural organic feel. 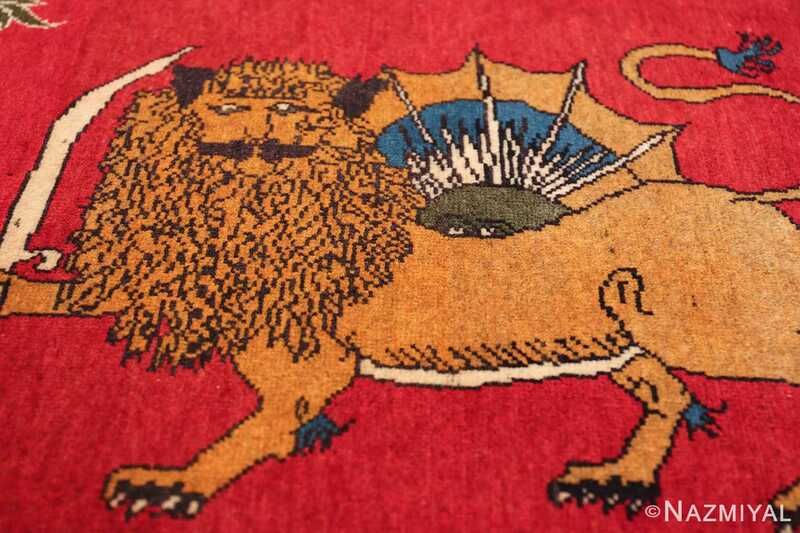 The regal lion figure in the center is depicted with his sword held defiantly in its right front paw. 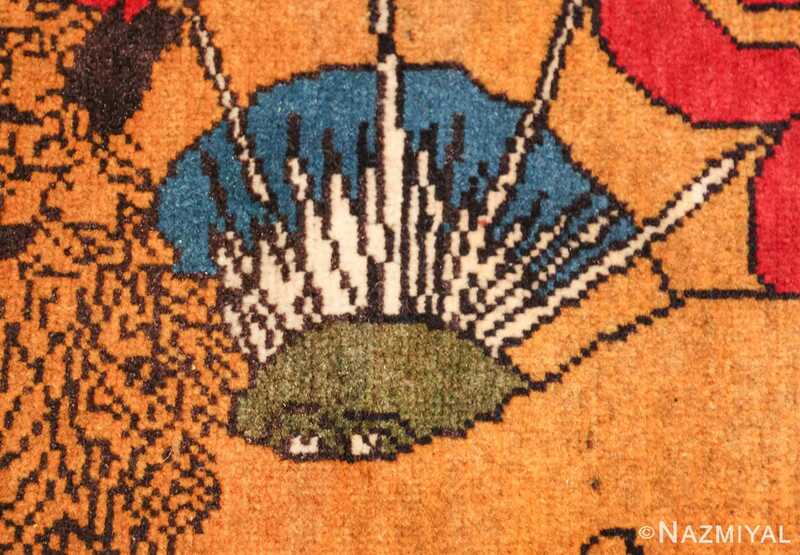 All the while, we see the sun mischievously peeking from behind his protector lion friend. This Persian Tabriz rug is small. But what it lacks in overall dimension, it so obviously makes up for in its artistic impact. 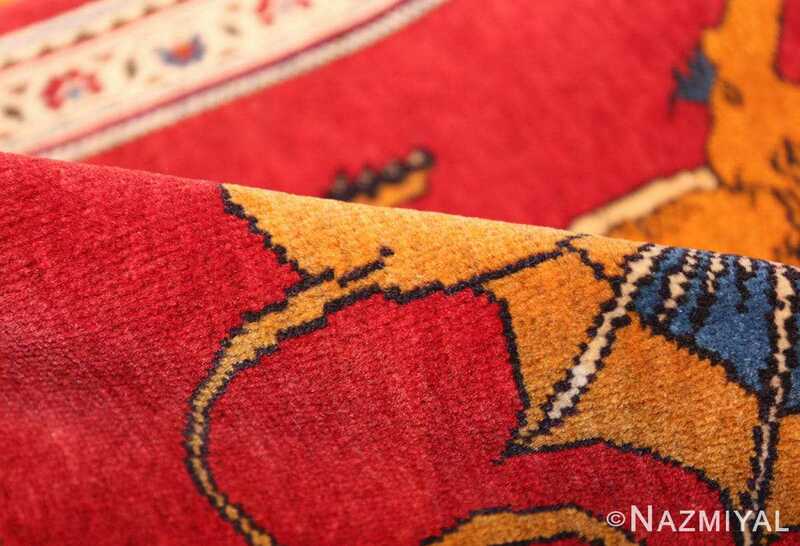 This lion and sun design vintage Persian Tabriz rug boasts a supreme artistic finesse that can be felt in the attention to even the smallest of details. 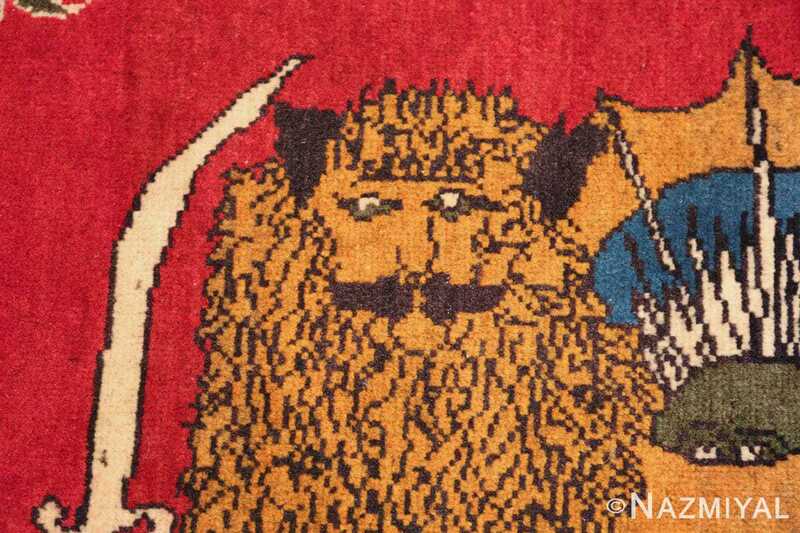 Perhaps a little cross eyed and sowing off his beautiful thick mustache this lion give the entire depiction a somewhat amusing feel. 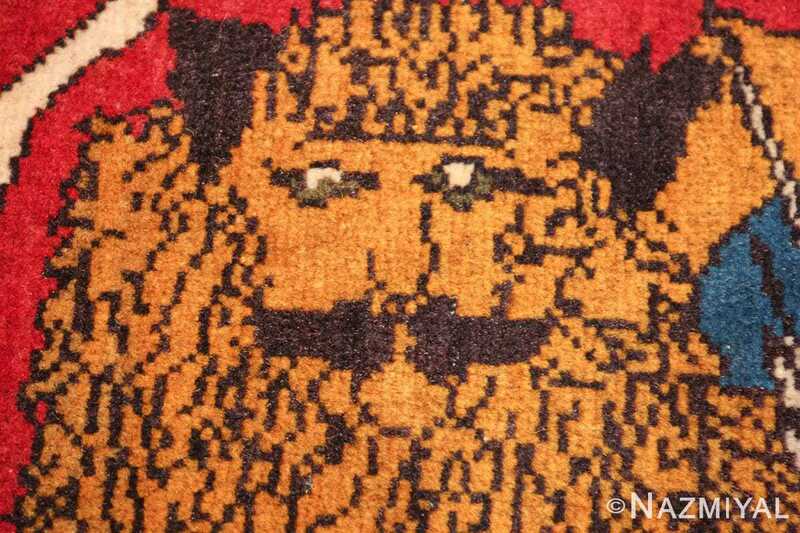 Coupled with the vivid red hue, this majestic animal exudes an impressive flair of pride and confidence. This brilliant Persian rug is a fun and beautiful example of textile art. 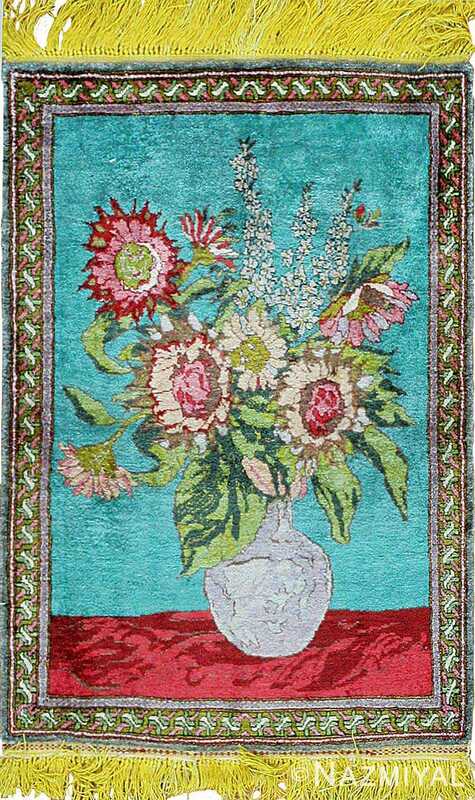 Its pictorial design coupled with its smaller size, make it easy to incorporate as a fund little accent piece or feature it prominently on the wall as a decorative wall handing tapestry rug. This authentic lion and sun design vintage Persian Tabriz rug is sure to add an irresistibly clandestine charm to any interior design setting. 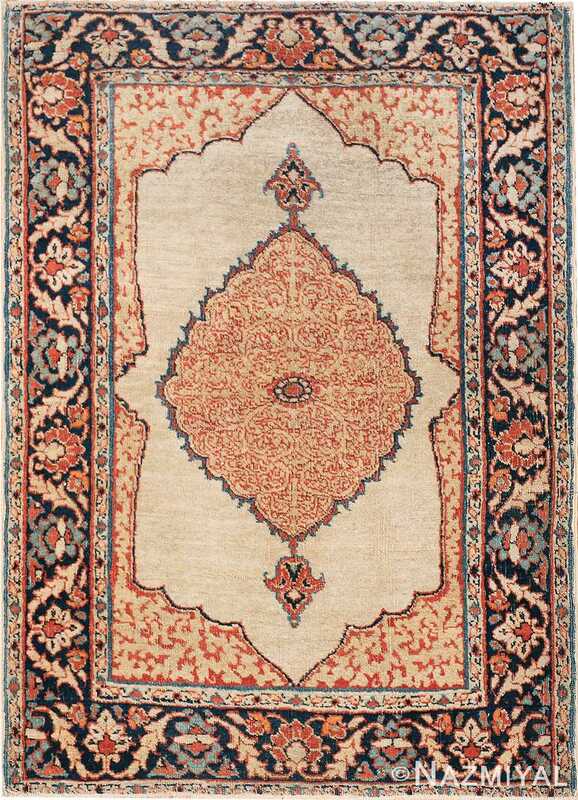 This hauntingly beautiful scatter sized Tabriz is a fascinating study in juxtaposition, featuring a wholly unadorned field of pale green, against which an impressively elaborate central medallion is set. 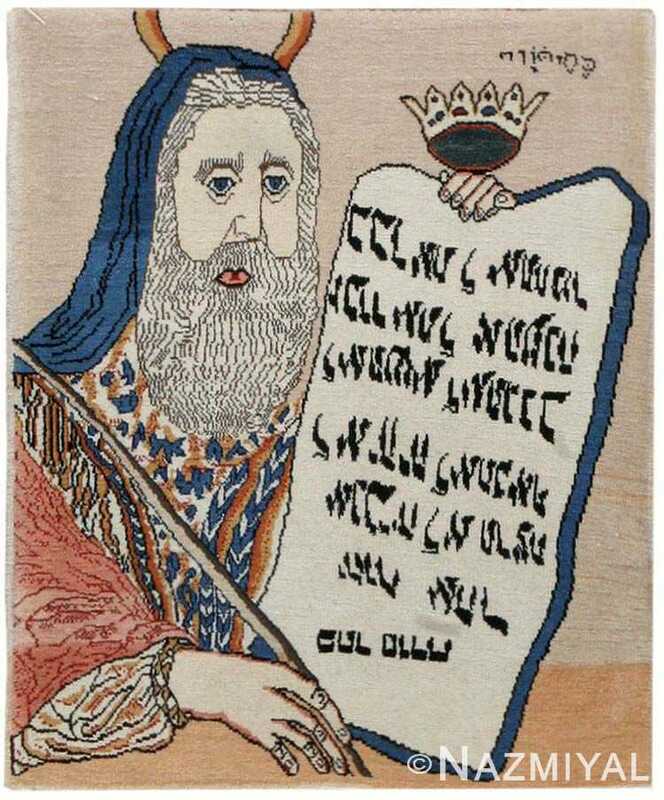 This pictorial carpet from the city of Tabriz reflects Hebrew traditions and legends imported to Iran under the reign of Shah Abbas.